I wrote a pre-story at school. This is the outline of the book I would write. My story would be about a Mother Duck laying eggs. One hatches and she calls it Sally. 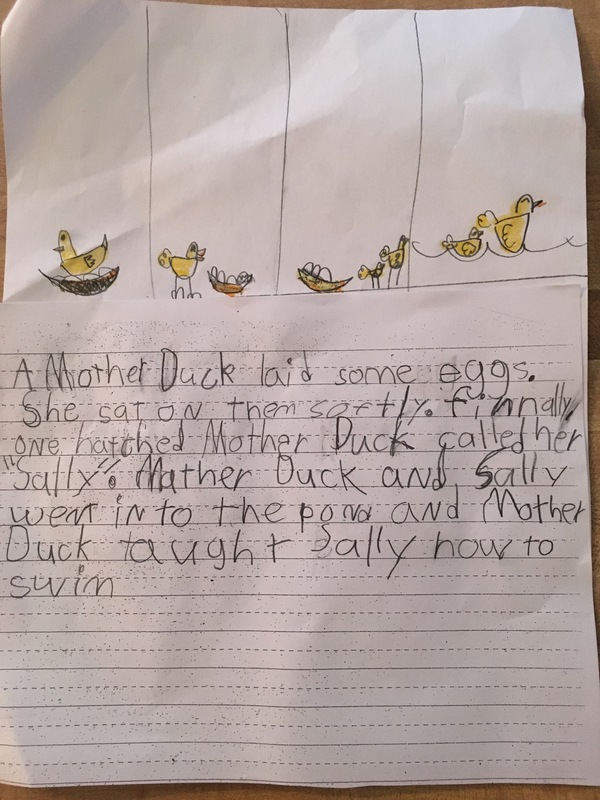 Mother Ducks teaches Sally to swim and probably more things but I ran out of space. Author & illustrator friends, what should I do next?